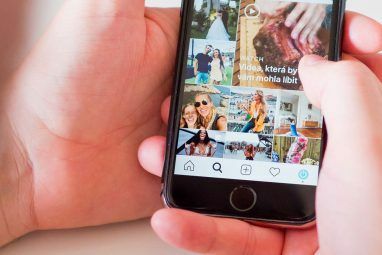 When a community based application like Instagram becomes popular, it connects the world in interesting ways. Pictures and photographs have always been great ‘focal’ if not vocal ways to communicate. What’s unique about a smartphone based app like Instagram is that it almost seduces you into taking that photo even if you aren’t in the deep end of the art. Is it the filters? Maybe. Is it the ease of taking a photo and quickly sharing it? Could be. Or is it just the herd mentality? Who cares; as long as some really creative photos come out into the open from the Instagram world. The easy worldwide appeal of Instagram has also meant that people are using the photo application in unique ways. Here’s a filtered look at the world around us with these five Instagram projects. John Lennon had a dream. Yoko Ono has one too. ‘Smiles’ is a project started by her to document a smiling face snap of every human being on Earth. She wanted to make a film on that from way back in 1967. She would have had to collect a lesser number of smiles, but it would have been a gargantuan task. With today’s photo-sharing culture and the web it could be easier. Check out how the world is smiling on the global map. How do I join: Upload a photo on Instagram or Twitter – add the hashtag #smilesfilm – add your geotag so that it comes on the map. That’s it! You can add to the 10754 smiles already collected. This could be the best way to see a day in the life of a city, without standing on the sidewalk. As the web project describes itself – This is Now project is a visual composition which uses real-time updates from the ever popular Instagram application based on users’ geo-tag locations. The tool streams photos instantly as soon as they are uploaded on Instagram and captures a city’s movement, in a fluid story. The visual story is as it happens, so it is in constant change. Click on What Is This for some interesting details. The project so far covers 9 cities. How do I join: You don’t have to do anything apart from clicking with Instagram and geotagging them if you live in any of the cities on the list. It just might come into the stream. The idea behind this Instagram based app is simple. 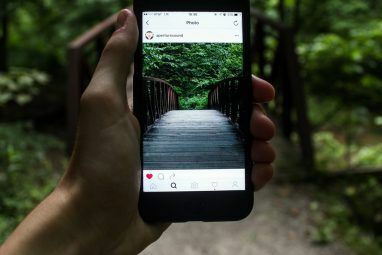 You connect to your own Instagram account, and the application will send you via email a randomly chosen Instagram shot – maybe you had shot it ages back – every morning. It is about memories, and your ‘second chance’ to relive those memories by way of the snap itself or the comments it attracted. This is less of a time-bound project, but it is interesting nonetheless. How do I join: Log-in with your Instagram account and just give it the email ID you want to use. SeeMyCity is like a virtual photo-walk through the cities of the world. The idea is to make people see and appreciate their own cities through the power of photography. The interesting mobile photography project uses Instagram (and the iPhone version of the app) as one of the tools to exhibit and market cities. The project has nearly 200,000 followers. The five core members go around to cities and hold exhibitions and photo walks along with contests. Read the blog for some interesting insights on mobile photography and the project itself. How do I join: For now enjoy the photos. If the project comes to your city, join the events, take part in the challenges, and go on a photographic adventure through the city. Fourist is similar to This Is Now in the way it captures life shots from cities around the world. The difference is that Fourist shows you the best photos of the weekend from these cities. Weekends are generally times of leisure and fun, and Fourist captures the most popular photos from the weekend – Friday at 5pm through Sunday at midnight – and shows them to you in a simple and clear way. You can also sort photos of the weekends gone by, and also go through them by location. Popularity is according to the number of people who like a photo through Instagram. How do I join: You can share your weekend life by tagging your Instagram uploads with #fourist. These five are the tip of the Instagram-berg; there are many personal and professional projects launched around various themes (e.g. search with #projects). For instance, Time magazine is also looking for your Instagram photos. 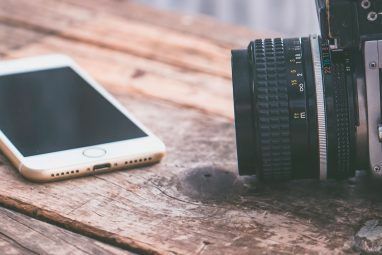 I am not sure if they will be accepting submission by the time you read this, but it is illustrative of the fact that you can go far with Instagram even if you aren’t a photographer. Seen any interesting projects lately? Tell us about them in the comments. How do we sign up? 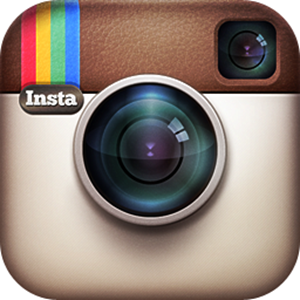 Explore more about: Instagram, Photo Sharing, Photography. How Instagram Filters Work, And Can You Tell the Difference?